Our Egg Club was formed in 2012 by one of our long term supporters and since that time has raised more than £11,000 for the charity. It’s really very simple: you give away your surplus eggs to friends and family in exchange for donations, which you collect and send back to us so we can carry on saving lives. 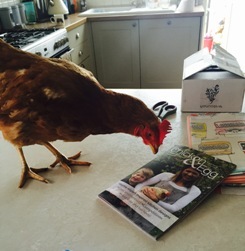 Think of it as hens helping hens! 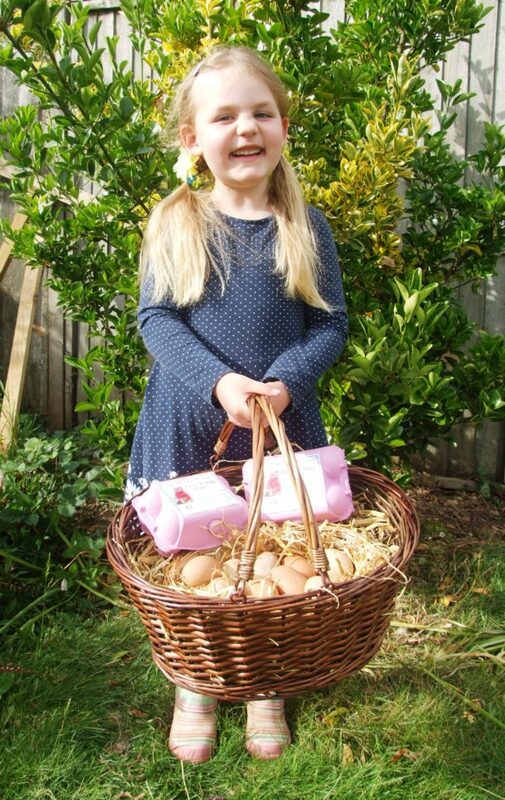 Evie Walker is our youngest Egg Clubber – join her and start raising funds today! Get yourself registered by filling in the form below. Make sure you have a plentiful supply of egg boxes ready to fill with delicious eggs. Start collecting your hens’ eggs. Tell your family / friends / colleagues / neighbours / the postman where they can buy the best free range eggs in town! Decide on a suggested amount for your eggs. Most people tend to ask for £1 per half a dozen. Once you’ve filled a box, attach a label using the stickers provided, showing your club name and the date! It all helps spread the word. Sit back and watch the money come in, safe in the knowledge that your girls have laid eggs to help their feathered friends. Once you’re ready, use our website to send a donation via PayPal, or post a cheque to our team of fellow egg lovers. Contact us at fundraise@bhwt.co.uk for more information. N.B. 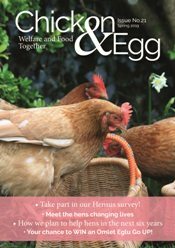 Please note that anyone with more than 50 hens needs to be registered with Defra and cannot legally sell eggs to the public. This initiative is not intended to take ‘trade’ from the industry but to provide a small cottage-industry style fundraiser.